I remember watching Agneepath's remake some 3 years ago. It was the first movie been directed by Karan Malhotra. I am a Hrithik and Priyanka's die-hard fan so I was unable to find any flaws while watching it in theater. But the moment I tried watching it on television on its premiere, I found it very hard to survive even its first half an hour. And by the time Agneepath ended, I felt as if the director only wanted me to sleep out of pain of nothing happening on the screen glued to my eyes. Same happened with me in the first half of BROTHERS which I watched just yesterday. Having Akshay Kumar, a 25-years old Superstar and Siddharth Malhotra, a new rising star- one could have made a solid movie out of it. But the director have failed badly. When you watch a trailer which looks so expensive, you expect makers to have invested a good time in also scripting it. And unfortunately, our Indian movie makers and continuously making fun of themselves. Spending multi-crores can only fetch you an above average weekend collection but you will never be able to win audience's heart. The first half of the movie is so weak that you will find it hard to wait for the 2nd half. The plot is so slow in the beginning that your interest to find out why are 2 brothers separate and why is one of them not wanting to talk to his own father is killed. Just because you have paid the money, you keep watching the movie even after knowing what the climax would be like. Few fighting scenes are definitely good but overall, it's what WWE is for which we keep shouting at school kids watching them. No song creates magic. The whole story line and method used for the movie looks so 80s and 90s that you will want to come back home and watch an original movie of those times and see fight between brothers in Parvarish or between friends in Dostana. This movie no where looks like its made for the audiences of 2015. Akshay Kumar and Siddharth Malhotra have tried to give their best but because of the weak plot line, they couldn't deliver anything great. Jacqueline's role is to only emote to the few scenes which she have done finely. 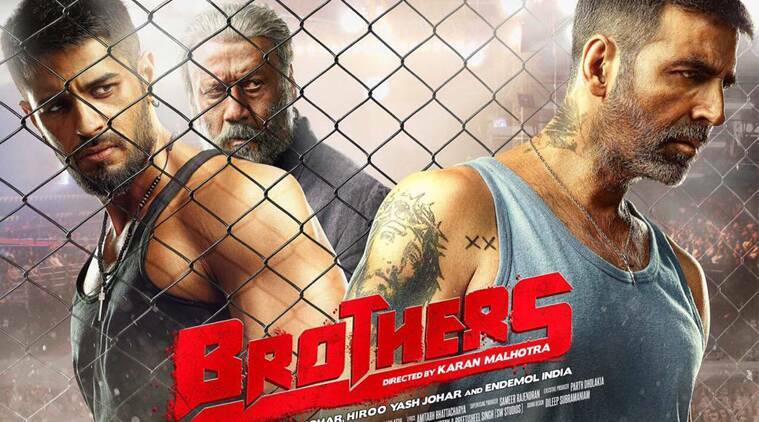 Jackie Shroff looks tired and never even once manages to make you cry along with him. Over all, its very irritating to find the sons talking with their father in a language you won't talk even with your friends. I give this movie 2.5 stars.